For the third straight year of split-season league play, Cuba held its nationally televised player dispersal draft on Christmas night, this time with a new wrinkle. For this year’s National Series #54 edition the mid-year selection of reinforcement players from the eight eliminated teams was expanded from five to seven rounds and thus also from the original 40 to a new total of 56 ballplayers. The novel system represents a controversial departure from Cuba’s long-established traditional structure that found ballplayers performing only for their native provinces and never (before National Series #52 in 2012-13) switching team affiliations in the course of a single championship season. Until recently the Cuban circuit had always prided itself as being a league with no player trades and thus with long-term loyalties forged between clubs, fans, and star athletes. But all that has now changed with approximately 15 percent of the league’s personnel swapping uniforms at the season’s half-way point. What didn’t change this time around was the heavy preference for pitchers, with only three position players (catchers Yosany Alarcón and Yulexis La Rosa, and infielder Luis Yander La O) among the eight first-round lottery selections. 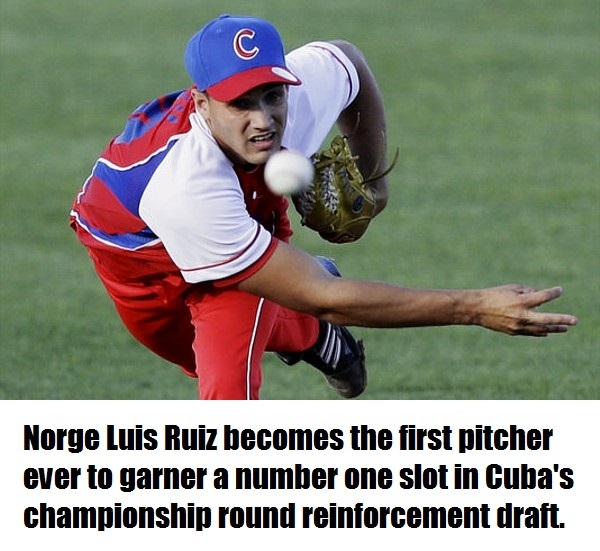 Despite the ongoing tradition of preferential interest in pitching reinforcements, for the first time a hurler (Camagüey ace Norge Luís Ruíz) was the overall top pick (chosen by Holguín). 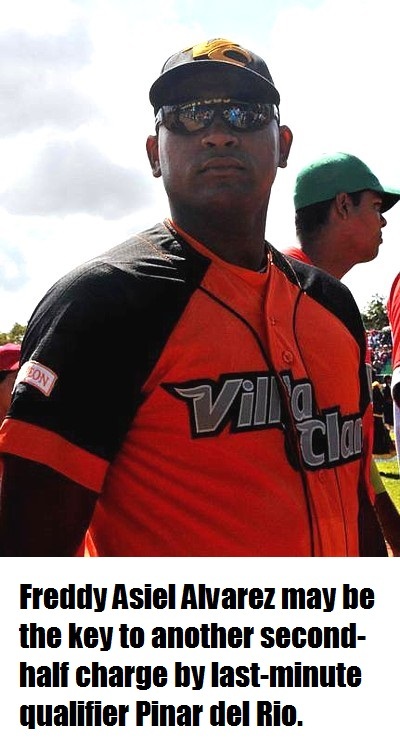 Last winter slugger Freddie Cepeda was the top individual selection (by Artemisa), and in the inaugural December 2012 draft ritual Pinar del Río opted for home run king Alfredo Despaigne. 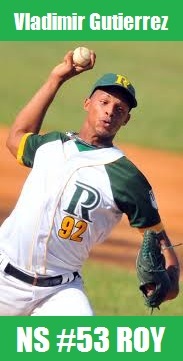 Cepeda ended up once again in Artemisa this time out as a second round pick while his veteran Sancti Spíritus teammates Yunior Mendoza (Matanzas) and Eriel Sánchez (Holguín) were also noteworthy selections. The draft system finds the eight surviving teams picking in reverse order of the current league standings for the initial round, and then reversing order for round two; the final five rounds this season had the picking order selected by a blind draw before each subsequent cycle. The round-by-round top picks with this “luck-of-the-draw” lottery fell to Artemisa (Round 3), Isla de la Juventud (Round 4), again Isla (Round 5), first place Matanzas (Round 6), and finally Isla yet again (Round 7). 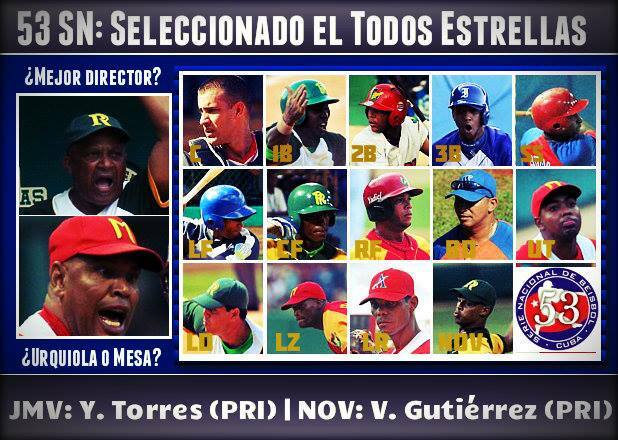 Among the league’s eliminated also-rans, Las Tunas headed the pack in providing eleven draftees, followed by Villa Clara with ten. When assessing the overall selections it might appear that Pinar del Río and Artemisa have now best positioned themselves for a strong second half championship run. Pinar’s defending league champions (already loaded in the hurling department with top starter Yosvani Torres, emerging bullpen stalwart Vladimir Guitiérrez, and veteran righty Vladimir Baños) walked off with Villa Clara ace Freddy Asiel Alvarez (the country’s best arm alongside Norge Luís) plus Villa Clara’s durable right-hander Yosvany Pérez. Artemisa in turn added some much-needed offensive punch to its light-hitting lineup with the added presence of the dependable switch-hitting Cepeda and slugging catcher Yosvani Alarcón. But the league’s seven top challengers will have a tough time overhauling Victor Mesa’s solid Matanzas lineup now reinforced with solid infield offensive and defensive strength in the form of third sacker Luis Yander La O (a rising star during the recent Central American Games in Vera Cruz) plus veteran first baseman Yunier Mendoza (this year’s surprise first-half batting leader). Season play will continue after this weekend’s All-Star Game festivities in Granma Province with the 45-game championship round set to start on Sunday, January 4. The eight-team circuit will continue through March 19, with a three-week hiatus during the final week of January and the first two weeks of February to accommodate Caribbean Series action in San Juan, Puerto Rico. The top four league finishers will enter the best-of-seven semifinal series during the final weekend of March, with the league championship finals on tap for early April. 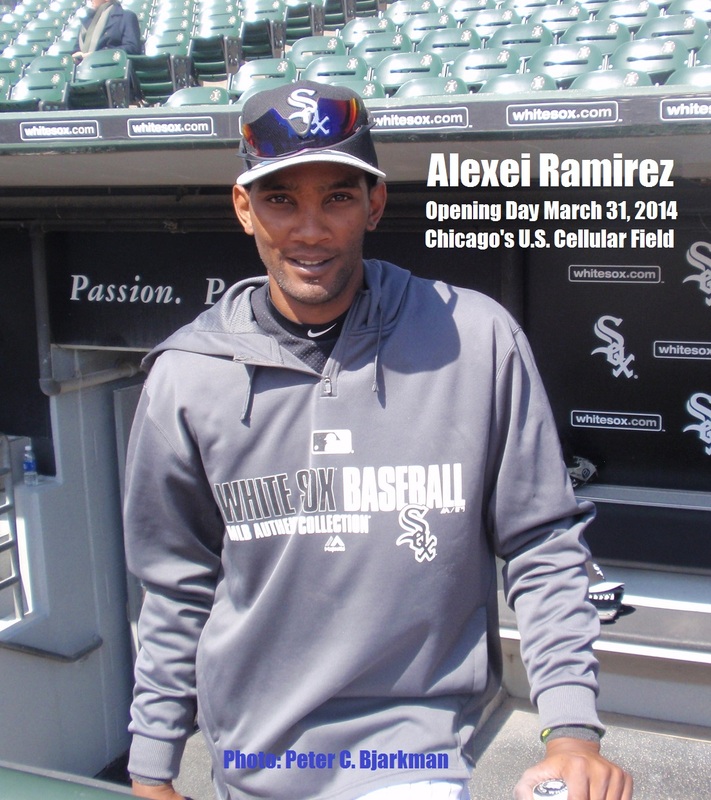 NB: The following interview was first published in Spanish on the Reynaldo Cruz MLBlog.com site (Universo Béisbol). Here is the original English-language version of the full interview. RC: You have been involved with researching and spreading the word about the history of Cuban baseball. When, how and why did you first become interested in this topic? PCB: Let me give you a short answer to a long story. Having undergone several major “life changes” in the late 1980s, I left the academic world (I was a professor of linguistics at Purdue University) to pursue a passion for writing about baseball. One of my early successes was a history of the sport in Latin America (my academic training and doctoral studies had focused on Spanish linguistics) and that book was published in 1994, the same year as the big league players’ strike. The 1994 strike had largely turned me off on the MLB (major leagues) version of the game and I was looking for a new outlet for my baseball passions. On the eve of the 1996 Atlanta Olympics my colleague and friend Mark Rucker approached me with a proposal to travel to Cuba with him and collect materials for a coffee table book illustrating the island’s rich baseball history. That is where we began, at the Atlanta Olympics and with a first road trip to Cuba in February 1997. I was immediately enamored of the island, its people, its revolutionary society, ist music, and its baseball, and that love for Cuba has remained a centerpiece of my life ever since. RC: When was the first time you attended a baseball game in Cuba? Do you remember the details of that first game? PCB: On that first February 1997 trip with Mark Rucker. I saw several post-season games at the end of the National Series #36 season. The first was in Capitan San Luis Stadium (Pinar del Río) and it was the opening post-season quarter finals match between Pinar and Industriales. We had traveled out to Pinar in an old rickety Lada with our two hosts from INDER and sat in the ground-level INDER reserved seats behind home plate. There are some photos of that game taken by Mark that appear in our coffee table book SMOKE, and I also write about some of the rather remarkable adventures on that first road trip in the introductory chapter to my book A HISTORY OF CUBAN BASEBALL, 1864-2007. Perhaps what I remember most about the game was a failure of the stadium’s electrical power system that delayed the game more than an hour, during which time we chatted with Omar Linares in the INDER stadium office (Linares was injured and not playing that night). That first game set the stage for so many colorful adventures to follow. RC: There is the common debate, which grows stronger and stronger when those involved live in separate worlds, in Cuba and in the US. Do you think the history of Cuban baseball can be written overlooking either Cuban baseball prior to or after 1959, or dismissing the contributions of Cuban players abroad? PCB: Of course not. Both halves are important chapters in the story. This was essentially the theme of my own major Cuban baseball book (A HISTORY OF CUBAN BASEBALL, 1864-2007), and most reviewers of that book picked up on the fact that mine was indeed the first historical volume to give equal treatment to both sides of the story (unlike Roberto González Echevarría, who largely dismisses Cuban baseball after 1962). But where I most strongly disagree with González Echevarría and others is in my view that the Gold Age of Cuban baseball definitely comes in the last several decades and not with the limited professional Havana winter league of the first half of the 20th century. Why? The Cuban players are bigger, faster, and more talented now than they were fifty years ago (just as they also are in the American big leagues). This is the natural upward evolution of all sport. The game may not be as pretty or aesthetic but the athletes are better without doubt. One could never imagine the top Cuban stars in 1950 competing against top major leaguers the way Cepeda, Paret and company did in the first Classic in 2006. Even with all the current political roadblocks, Cuba sent more new players to the big leagues (nine) this very summer (2014) than in any previous season in history. The Cuban players (and thus Cuban baseball as a whole) are much, much better over the past couple of decades than they were before 1960. And also post-revolution Cuba now has a true nation-wide league whereas pro baseball on the island before Fidel was largely restricted to only four teams in the city of Havana (and more than half the players in that old winter league were actually Americans and not even native-born Cubans). RC: Speaking of that, do you think there can be a point at which historians from Cuba and elsewhere agree on compiling all possible data and events of Cuban baseball regardless of era and place? How far do you think it is from happening? PCB: Yes, that will definitely happen. Of course all the data from the pre-1962 era is largely available in the works of scholars like the late Severo Nieto in Havana and American-Cuban Jorge Figueredo in Tampa. The work that now needs to be done is to amass the data from the post-1962 league that is available only piecemeal in the erratically published and often inaccurate INDER Cuban League Guide Books. The problem has been that INDER records seem to be inconsistent and incomplete, and Cuban newspapers have not had much in the way of detailed stats or box scores over the last several decades. But the work will slowly get done. My colleague Ray Otero and I are trying slowly to flesh out much of the data for recent seasons on the new version of our website at www.BaseballdeCuba.com. RC: In the mid 1980’s, up to the emergence of players like José Canseco and Rafael Palmeiro, there was a time without much Cuban activity in the Major Leagues. Why do you think that happened? Do you consider that to be a dry age? PCB: What happened? That is easy …. Politics! The Cold War divide between the two countries for several decades kept the Major Leagues off limits to Cuban players, unless they “defected” – which few or any (until the 2000s) were willing to do. For MLB fans in the USA that was a “dry age” regarding Cuban baseball since the Cuban scene was entirely invisible to North Americans. But it certainly wasn’t a “dry age” back in Cuba itself. Canseco and Palmeiro, by the way, did not really mean any true Cuban presence in the big leagues since although they are technically “Cuban players” (born on the island) they were in fact American ballplayers and not legitimate Cuban ballplayers. They never touched a bat or ball in Cuba and learned their baseball entirely in Florida. They are “horses of a different color” altogether. During the 1970s, 1980s, and 1990s the top Cuban players had little motive or desire to leave home … they were huge heroes on the island, the national teams almost never lost, and the players were motivated by patriotism and loyalty to the system that raised them. Omar Linares was the poster boy for that attitude. But now with the sagging economy in Cuba and the headlines about all the dollars being thrown at stars like Abreu and Alexei Ramirez (and also at players who were not even the very best in Cuba like Chapman, Puig, Rusney Castillo and Alex Guerrero for example) all that has changed. RC: So far, the Cuban Baseball National Series has had countless different structures, and some of them have been more competitive than others. Which one do you think has been the better one? PCB: This is a very tough question for INDER and Higinio Vélez to answer, and it is a very tough question for me to answer. I very much like the system in place for most of the past quarter-century, with teams in every province and all teams playing all others an equal number of times. This is true national baseball, it provides a genuine “national sport” for all the island’s fans, and one played in or near their home towns. And it gives opportunities to many young players to develop. But I also understand (and largely agree with) the argument that the amount of talent has slid downward and thus a collapsed eight-team league would be much more competitive and do more to develop the national team (which is the main purpose of the Cuban League in the first place). The problem is that cutting down to eight teams robs half the island’s provinces of their home teams and therefore diminishes the fan base in many corners of the island. What I don’t like is the Commission’s decision to try to have it both ways and to do both at the same time (in other words, the current split-seasons with 16 teams playing 42 games and then only 8 qualifying teams playing 45 games). This new split-schedule has so many drawbacks. Statistics (and comparing stats from year-to-year) now becomes a nightmare. The vital tradition of having players remaining with the home province (perhaps my favorite aspect of Cuban baseball) is now destroyed. And the smaller rural provinces (like Las Tunas, Guantánamo, Holguín or Isla) may lose baseball for half of each season. It is a difficult problem to solve and I don’t know what the best solution actually is. RC: Seeing that the Cuban team came second in the opening 2006 World Baseball Classic, how do you think the late 1980’s and early 1990’s powerhouse Cuban Team would have fared against Major League competition if the WBC tournament had been celebrated earlier? PCB: Baseball fans of course love such debates and everyone has a firm opinion. And no one can ever win such debates (perhaps why they are so popular) because there is no metric for measuring one epoch against another. I have my strong opinion like everyone else and I mentioned it above. I think the players in Cuba over the past ten years were the best ever and the 2009 and 2013 WBC Cuban teams were the most talented Cuban teams ever (even though they didn’t get to the finals like the 2006 squad which had some lucky breaks along the way). We saw what Cepeda and Abreu and Bell and others can do against big league pitchers. The earlier-era stars like Linares, Kindelán and Pacheco won their endless victories against university teams and using aluminum bats. That doesn’t mean that if they had been given the chance to use wooden bats against better competition they might not have eventually had similar success. There is simply no way to know. I didn’t see Marquetti or Muñoz in their primes but I did see Linares and Kindelán. To me Cepeda was perhaps the best-ever overall Cuban hitter against top-level pitching, as was Abreu, and many MLB scouts agree with me on that. The bottom line here is that Abreu and Puig and Cepeda (etc.) are PROVEN quantities now. Linares, Kindelán Capiró and company will remain forever a merely matter of idle SPECULATION. That is one of the beauties of baseball fandom. So I say, let the debate continue. RC: There is a very heated debate going on about whether the Cuban Baseball Hall of Fame should be built in Havana or in Cuba’s oldest ballpark at Palmar de Junco (Matanzas). Where do your alliances lie and why? PCB: I would love to see a true Cuban Baseball Hall of Fame and Museum on the island (I know that filmmaker Ian Padron and others are working on this) and I have talked of donating (after I am no longer around to enjoy it) a large part of my extensive Cuban uniform collection to such a museum once it has a permanent home building with adequate security. As to where it should be located, I don’t have any strong preference. Havana would make sense practically since that is a center of population and tourism. But I would not want to see it in a tiny room in Latin American Stadium. It needs its own building like any other genuine national museum. Palmar del Junco in Matanzas would make sense from historical perspectives (it is the mythical equivalent of Cooperstown). But I believe it will be a long time down the road before we see such a museum in Cuba, unless the government decides to do it. There are simply no private investment funds available for such a project, and there are too many other things in the sagging Cuban infrastructure that need to be repaired first. RC: Of course the debate increases when it comes to exiled players. Some people consider they should be included in the Cuban Hall of Fame, whereas some consider they shouldn’t, and others go farther by saying that those who stayed in Cuba should be ruled out. Where do you stand in that argument? Can you explain? PCB: If you are going to have a Cuban Baseball Hall of Fame, then every player (at least every native Cuban) who played on the island should be eligible for inclusion. Any other decision or system is based on narrow politics and should be ruled out. Now that being said, I do have my preferences for how such a Hall should be set up. There should be two qualifications: being born in Cuba and having played at least for a brief while in Cuba. I would NOT include Americans who played in Cuba before the revolution (like Rocky Nelson or Oscar Charleston) because it should be a Cuban Hall of Fame (i.e. Cuban players) in my view. I would also exclude those Cuban-born players who never played in Cuba; there should be no Cuéllar or Canseco or Palmeiro, since none of them played in any league in Cuba. But Tony Oliva and Luis Tiant, yes, since they played at home as youngsters and learned baseball in Cuba. And clearly guys like Camilo Pascual and Pedro Ramos should be automatic inductees, since they were stars both in Cuba and in the major leagues. RC: Do you think the lack of understanding between journalists and historians in Cuba and abroad is one of the causes why there is no institution similar to SABR or the BBWAA in Cuba? If not, what do you think is the cause? PCB: The BBWAA is the outgrowth of an economic and commercial baseball structure surrounding MLB (more a business than a sport) that does not exist in Cuba. Every newspaper in every big league city (and now every internet outlet also) has one or more fulltime “baseball beat writers”. For years Cuba had only Sigfredo Barros at Granma and a sometime shifting series of single baseball writers at Juventud Rebelde. Newspapers in the other provinces may have had someone writing about the baseball team for the local press but no one traveling fulltime with the provincial team. There are ten times more fulltime baseball journalists in the city of Chicago alone than there are on the entire island of Cuba. Hence there is no Cuban version of the BBWAA. SABR is originally a grass roots organization that was founded by a small group of casual fans who wanted to further pursue and share their interest in baseball statistics. It is of course now a big-time business organization with 7,000 national members including annual dues, yearly conventions, numerous publications, etc. It again comes down to the Cuban social structure and economic realities. Small groups of fans do organize in a similar way around the Cuban countryside, in the local Peña Deportivas. But they don’t have the full resources (especially the luxury of spare cash to devote to a hobby, or home computers and internet connections to keep in regular communication) or the time away from daily preoccupations to expand their interests into an elaborate overblown “hobby” diversion (with monthly fan publications, annual and monthly meetings around the country, etc.) after the fashion of SABR. As with everything else in Cuba, it starts and ends with issues of the third world economy. RC: You have been closely connected several Cuban ballplayers in the Island and in the Majors. Can you tell us something curious about the personalities of some of them? PCB: Yes some of the players (both still in Cuba and also now in the big leagues) are among my closest Cuban friends. I have spent intimate times and have had great personal experiences with a dozen of more – especially Cepeda, Bell, Yulieski Gourriel, Yadier Pedroso, Yosvani Peraza, Ariel Pestano, Pedro Laso and a handful more – both in Cuba and overseas at international tournaments. I am planning to tell some of these tales in the book I am currently writing and that I mention at the end of this interview, and therefore I don’t want to steal my own thunder from that book in this piece. But I will mention only a few things here. My saddest moment in life was the tragic death of my close friend Yadier Pedroso a few days after the 2013 Classic. Pedroso was one of the most fun-loving and genuine men I have ever known; I was the last non-team member with him at the Tokyo hotel (in Cepeda’s room) before they left Japan to return home. I would never see Yadier again after that final “temporary” farewell in Tokyo, and that still haunts me. On a lighter note, Cepeda is my true role model and image of an ideal human being, as I mention again below. Freddie is a true saint and they don’t make athletes or any other humans from a better mold. Yunieski Maya is a “true loose cannon” (a genuine fun-loving kid) and is addicted to “papas fritas” (a story I will tell in the forthcoming book). And Yulieski (Gourriel) is a true introvert who doesn’t party, stays out of the public view, and does not drink even a drop of alcohol. Cepeda and I have a running joke about searching for Yulie’s beers (Coca Colas) in the team hotels in Europe and also in Sancti Spíritus. RC: It is no secret to anyone that the exodus of Cuban ballplayers is one thing that affects the National Series while also posing a problem of human trafficking for the US authorities. Do you envision an ideal scenario in which both parties can be benefited? PCB: If there was an ideal scenario both sides would likely already have found it. I certainly don’t see what it is. The ideal scenario from the big league perspective is that all Cuban players who wanted to sign with MLB clubs would be allowed to come directly and freely to the USA. But that would ruin Cuban baseball because there would be no players of quality left at home. And by the way, the players and their agents don’t want that solution either (the one with players freely entering the US), because it would mean that Cuban players would then have to enter the amateur player draft (they could not be free-agents) and thus could not sign for anything more than $250,000 under current regulations. It would stop the human trafficking to be sure (once the players were worth only $250,000), but both Cuban baseball and the players themselves would be big losers. The ideal scenario from the Cuban perspective would be that Cuban players could play in the majors, earn lots of dollars, bring that money back to Cuba in the winter, and then play in the National Series. That can’t happen either, precisely for the reasons explain elsewhere in these answers. OFAC might drop its embargo someday (although I am not holding my breath) and allow MLB dollars to flow back to Cuba. But big leaguers are never any longer going to be allowed by MLB clubs to play full winter league schedules in Cuba or anywhere else. Nor will players like Abreu, earning $68 million, themselves want to play an additional 90 games in the winter after playing 160-plus in the summer. RC: Do you think that the National Series would be better if all Cuban players could go to the MLB and then return to Cuba even if they didn’t play for their provinces anymore? Why? PCB: The National Series would be better only if those players going to the majors would come back in the winter and play in the Cuban League (like big leaguers once did in the 1950s or 1960s). But times have changed with the drastically changing economic structure of organized baseball and this is simply no longer possible. 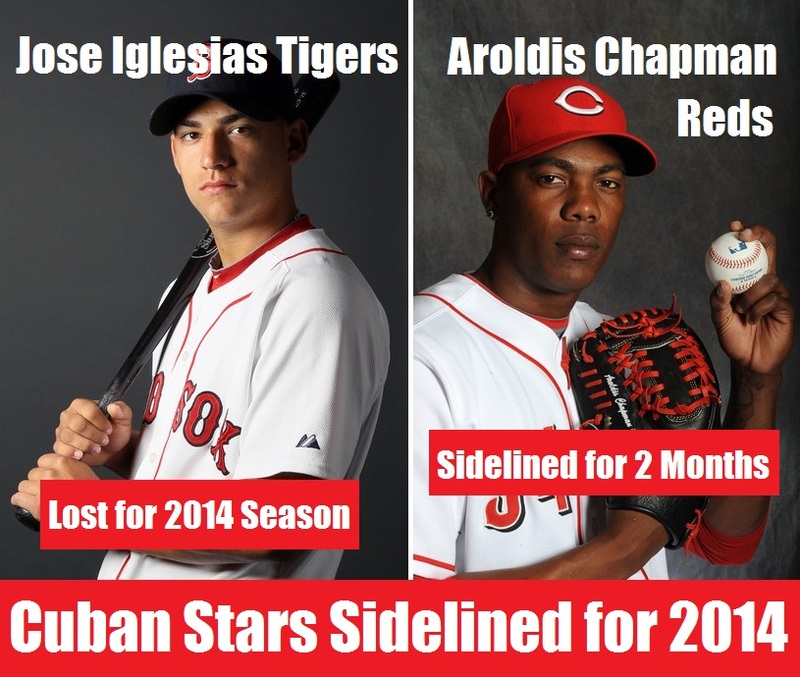 If Abreu and Chapman and Rusney Castillo come back to Cuba in the winter months and just sit at home and don’t play in the National Series that would not in any way help the league at home improve. RC: Cuba has created strategies to try to keep players from departing. Is there something you think they should have done and so far have failed to do? PCB: Cuba’s baseball officials are facing a most difficult situation. They want to better reward their players with higher pay and with the opportunity to earn salaries overseas, but not at the expense of dealing with MLB, since sending players to the States would mean they could not return to Cuban for winter play and would be lost to the national team as well. (MLB will simply not allow its players to risk injury in winter league play and the US embargo also prevents players who go to the US from returning home or taking any of their earnings back to Cuba.) The position of the Cuban Federation is a reasonable one and one I sympathize with. Cuba does not want to lose their strong national baseball the way Venezuela, the DR and Puerto Rico already have (there is no quality domestic baseball in those countries now that MLB has raked all the talented out of those locations and placed it in organized baseball). But given the sad economic situation in Cuba and the barriers caused by MLB and OFAC (US Treasury Department) regulations, there is little more than Cuban officials can do. The only possibility would be a more extensive working agreement with the Japanese leagues, but I doubt that will be sufficient to turn around the current player drain. RC: In the 1990’s only a handful of Cuban players had participation in The Big Show. To what do you attribute the recent wave of success – disregarding the amount of players – of Cubans in the Majors? PCB: The reason for the success is clearly the raw talent of the players involved. It has been little secret to some of us following Cuban baseball (and I was telling this to everyone a decade ago) that while the National Series might be overall a Class AA league compared to organized baseball, nonetheless there were are least forty Cuban players (just about everyone on the national team) who could step right in to a big league lineup. And also that 10 or 15 Cuban players were could enough to be superstars. Many doubted me on that claim (including many ex-patriot fans in Miami who are now suddenly jumping on the bandwagon) but now I have been obviously proven correct. There wasn’t as big an impact in the 1990s because the earlier players to leave (excepting El Duque, Liván and Contreras) were not the island’s best players. And some of the early pitchers who “defected” – like Rolando Arrojo, Rene Arocha and Osvaldo Fernández – had all suffered damaged arms throwing inferior seamless Batos balls to hitters with aluminum bats. But now that several of the better players have departed the island and entered the big leagues the quality of the Cuban players has become obvious. Had Cepeda and Gourriel and Pestano left Cuban in 2004 we would have seen this same thing happen ten years earlier. RC: Do you agree with the idea that the numbers of Cuban players fleeing the island are likely to increase? Why? PCB: Yes, it will increase, although perhaps not as rapidly as some might project. The INDER policy changes of September 2013 have not (and will not) stem the tide because most young players believe they have little or no chance to be selected among the small trickle of top stars assigned to Japan). The bad economy at home and the sensational stories about the successes and instant wealth of players like Abreu, Puig and Castillo will be just too much temptation for many young Cubans. There is also another important factor here. Ten years ago the biggest heroes on the island were the stars on a national team that won virtually every game and every tournament. Now the national team struggles to win against better competition and the heroes everyone are following are Abreu, Puig and Chapman in the big leagues and not Freddie Cepeda in Sancti Spiritus or Alfredo Despaigne in Granma. That fact alone will tempt more young players to follow the model of Abreu and not the model of Cepeda. The rewards no longer seem to be found in Havana or Santiago but rather in Los Angeles and Chicago. RC: Do you have an all-time favorite Cuban ballplayer? Who is it? PCB: Hands down, FREDDIE CEPEDA (if you hadn’t already guessed that). Not only is Cepeda one of the most entertaining and skilled hitters in Cuba, but they just don’t make human beings any better than Frederich Cepeda. He is an institution in Cuba and a huge, huge credit to both Cuban baseball and to Cuban society. RC: Now that the Cuban talent has been proven to be for real, we are sure that a lot of “what if” questions are being asked. Can you name at least a dozen Cuban players who decided to stay in Cuba and who you consider may have succeeded in the majors and why? PCB: This group for starters … Note that I am also leaving out many stars from the 1970s and 1980s because I didn’t see them play personally and therefore it is hard for me to judge those guys based on anything more than hearsay. RC: Speaking of favorite players. Making an all-time, all-leagues, all-star selection of Cuban players is tough, but I would like you to give me at least two of the best Cubans—in your opinion—by each position, disregarding when or where they played? RC: Is there something you have been wishing to do regarding Cuban baseball that so far you haven’t been able to accomplish? What? PCB: There is only one “province” and one league ballpark I have not visited and that is Isla de la Juventud and Nueva Gerona’s Cristobal Labra Stadium. It is definitely on my agenda. I would also like to get to the league All-Star Game and to the final game of the championship playoffs; I have seen both events numerous times on television but would like to get there in person. I would also like to see the national team play in Taiwan (never been there) and I have that penciled in as a possibility for next (2015) November. RC: Would you like to share any of the future projects you have going on at the moment? PCB: Yes I am currently writing two important books which I hope to complete in the next few months in time for publication in 2015. The first is my personal memoirs of almost two full decades of traveling in Cuba and also in Europe, Asia and Latin American following the Cuban national team at international tournaments. That book will be published by McFarland and is tentatively titled THE “YANQUI” IN CUBA’S DUGOUT: TRAVELS INSIDE FIDEL CASTRO’S BASEBALL EMPIRE. The second book is the story of recent Cuban baseball players “defecting” to the majors (CUBA’S BIG LEAGUE BASEBALL “DEFECTORS” – AN INSIDER’S ACCOUNT OF BASEBALL’S HOTTEST STORY) but since an official contract is not yet signed I cannot at the moment reveal the publisher of that second book. I am also still working on a long-overdue history of the Cuban national team (for McFarland Publishers). Author Note: Peter Bjarkman has authored two important books on Cuban baseball – SMOKE: THE ROMANCE AND LORE OF CUBAN BASEBALL (with Mark Rucker, 1999) and A HISTORY OF CUBAN BASEBALL, 1864-2007 (recently re-released in paperback from McFarland Publishers). 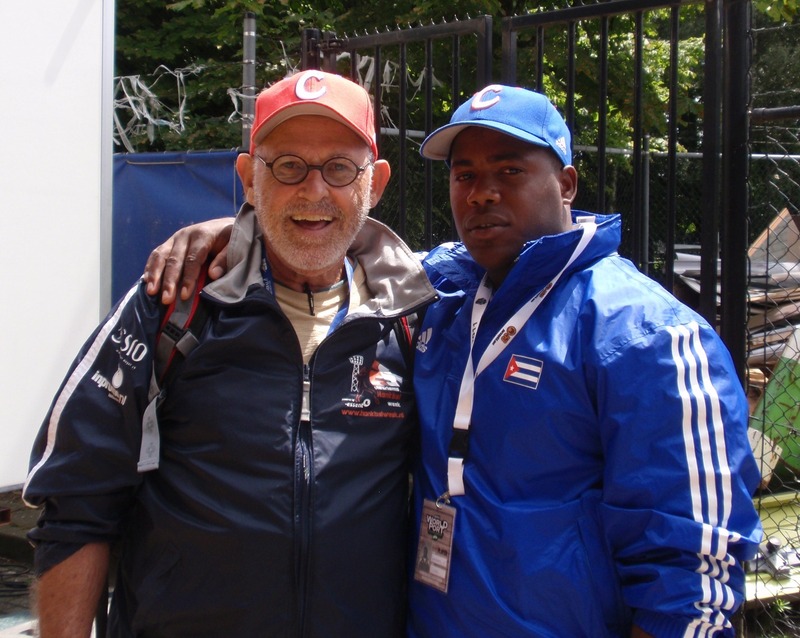 He is the Senior Baseball Writer at www.BaseballdeCuba.com. As a widely noted expert on Cuban baseball history and expert commentator on the current Cuban baseball scene, Bjarkman has appeared regularly in the mainstream US and international media. He guided TV Chef Anthony Bourdain around Havana on the Travel Channel episode of NO RESERVATIONS CUBA in 2011, and he will soon appear on the ESPN 30-for-30 documentary “Brothers in Exile” (the Liván and El Duque Hernández Story) scheduled for airing in November 2014. His personal website is found at www.Bjarkman.com. On the eve of the final stage of the National Series playoffs unfolding in Matanzas, the Cuban Baseball Federation has announced this year’s individual ballplayer award winners, and prime pennant challenger Pinar del Río has already proven to be the biggest winner. A top tandem of star Vegueros hurlers have walked off with the two most impressive trophies, and with the Green Tsunami club now one victory away from garnering their tenth league title (Industriales still leads the pack with twelve), recently returned veteran manager Alfonso Urquiola may soon be adding to the clean sweep with highly likely Manager of the Year plaudits. Coming off a brilliant 15-3 (1.78 ERA) performance, ten-year veteran right-hander Yosvani Torres edged transplanted Industriales third sacker Yulieski Gourriel and Matanzas outfielder Yadiel Hernández for the prestigious Most Valuable Player trophy. And by posting a strong showing out of Urquiola’s bullpen (5-5, with 24 relief appearances and 5 saves), Vladimir Gutierrez also walked off with Rookie of the Year honors. Also announced yesterday in Havana were the top offensive and defensive all-star squads, with four ballplayers (indicated in boldface type below) being tapped on both honorary squads. The position-by-position defensive nominees stand as the equivalent to Major League Baseball’s designated Gold Glove winners. There are several interesting footnotes to this year’s league individual awards. By running second for the top MVP honor, Yulieski Gourriel narrowly missed out on the chance to join Omar Linares, Wilfredo Sánchez and Alfredo Despaigne as the only trio of three-time winners. 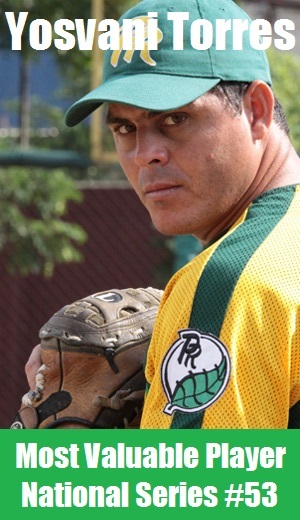 Transfered to the Havana Industriales squad only this season, Gourriel also stood to become the first ever to garner MVP distinctions with two different ball clubs, a phenomenon made possible only last year with a new split-season format that allows for reinforcement players during the campaign’s second half championship round. Also noteworthy is the fact that a pitcher has garnered the honor for the second year running, the first time this has happened in more than a decade. ROY honors have now also been awarded to hurlers for four straight campaigns. This seems something of an intriguing anomaly, given a widespread view that the Cuban League has been evolving over the past decade into an acknowledged “hitters’ circuit” stripped of young pitching talent. The current MVP and ROY trends seem to undercut so much moaning on the island concerning the overall quality of league pitching (and thus national team hurling) and to run counter to a universal accord that the pitching art has been very much on the decline of late. While the Cuban Baseball Federation has never published any “official” list of MVP Awards for post-season play, Havana’s Radio COCO has in more recent years provided its own “unofficial” listing of MVPs for all post-season series since 1998 (National Series #37). Cuba did not hold round-robin post-season playoffs until 1986 (National Series #25). There was no game-ending rifle-shot double-play throw from right field, and there was little over-the-top LA-style media hype to ramp up the headliner Opening Day Chicago scene. But in the end the long-awaited White Sox debut of José Dariel Abreu was every bit as eye-popping as last summer’s delayed first bow by flashy Yasiel Puig at Dodger Stadium. Two important base knocks, the season’s first run scored, and a first career RBI were all enough to confirm this writer’s earlier predictions that Abreu would launch big numbers and quickly prove the heaviest-slugging Cuban import yet to arrive in the Big Show during the modern baseball era. With his $8.6 million contract (compared to Puig’s $3.7 million 2014 paycheck) Abreu already has one leg up on his former Cuban League teammate (both starred for the Cienfuegos Elefantes) and it is likely only a mere matter of time until the power-packed first sacker also is posting loftier numbers in the box score categories where it really matters. Debuting as Cuba’s big leaguer number 179 (a small numerical irony in itself, given Abreu’s unorthodox uniform #79) the giant infielder smacked the very first delivery he saw from Minnesota righty Ricky Nolasco (a teammate of Puig’s last summer) over the head of right fielder Oswaldo Arcia for a ringing double that launched the home club’s go-ahead rally in the bottom of the second. Moments later he would trot home with the season’s first tally thanks to a two-run shot into the bullpen by normally light-sticking Alejandro De Aza. In his second trip to the plate one inning later Abreu drilled another Nolasco sinker (the same pitch that had fooled him on the previous delivery) into left field to plate Adam Eaton and pick up his first career RBI. Two final Abreu trips to the plate during the 5-3 White Sox victory produced a pair of line-drives “loud” outs, both squarely hit and the second smacked into the teeth of a 30 mph wind in the eighth, sending center fielder Aaron Hicks to the edge of the warning track. The end result for the day was four quality at-bats, a run scored, another knocked home, and a club-best perfect one-for-one ledger with base runners in scoring position. For good measure, an historical oddity was also to be found in the fact that Abreu completed his first half-inning on a big league diamond by recording all three put outs (two second-to-first rollers sandwiched around a foul-territory pop fly off the bat of Minnesota catcher Kurt Suzuki). Yasiel Puig as well smacked two safeties during his own Los Angeles debut last June – and also unleashed a spectacular game-closing throw from deep right field for good measure, but the Puig lid-lifter was not staged in a colorful Opening Day setting, nor did it provide the same level of offensive fireworks. Admittedly Puig continued his onslaught throughout the following month, knocking out a near-record 44 safeties before June came to a close. Only Hall-of-Fame legend Joe DiMaggio amassed a loftier total (48 in May 1936) during a first 30-day span in the majors. It is highly unlikely that Abreu or anyone else in the near future will equal Puig’s torrid early onslaught streak, but what happens over the longer course of a full season or even a full career is another matter entirely. Puig’s rookie totals of 19 homers, 42 RBIs, and a .319 BA all seem rather easy targets for the heavy bat now swung by Abreu. The first-year numbers posted by Yoenis Céspedes (23, 82, .292) in Oakland back in 2012 are also likely reasonable targets for the most muscular among Cuban big-league “defectors” yet to arrive on the North American scene. 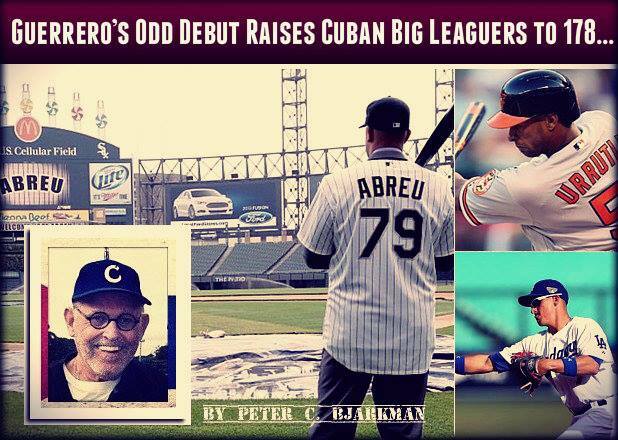 Abreu’s two-hit debut was not the only fireworks provided on the day by the noteworthy Chisox Cuban arsenal. Batting out of the eighth slot in the order, shortstop Alexei Ramirez (“The Cuban Missile”) wacked out singles in the second and sixth frames, the second base knock ending in an unfortunate put out when Alexei unwisely attempted to stretch the safety into a double and was gunned down by a perfect toss from right fielder Arcia to shortstop Pedro Florimon. Ramirez would finish two-for-three to record the team’s most efficiency offensive ledger on the day. Yesterday’s Chicago opener played before an announced sellout crowd of 37,422 also quietly featured a rare bit of Cuban-related baseball trivia. 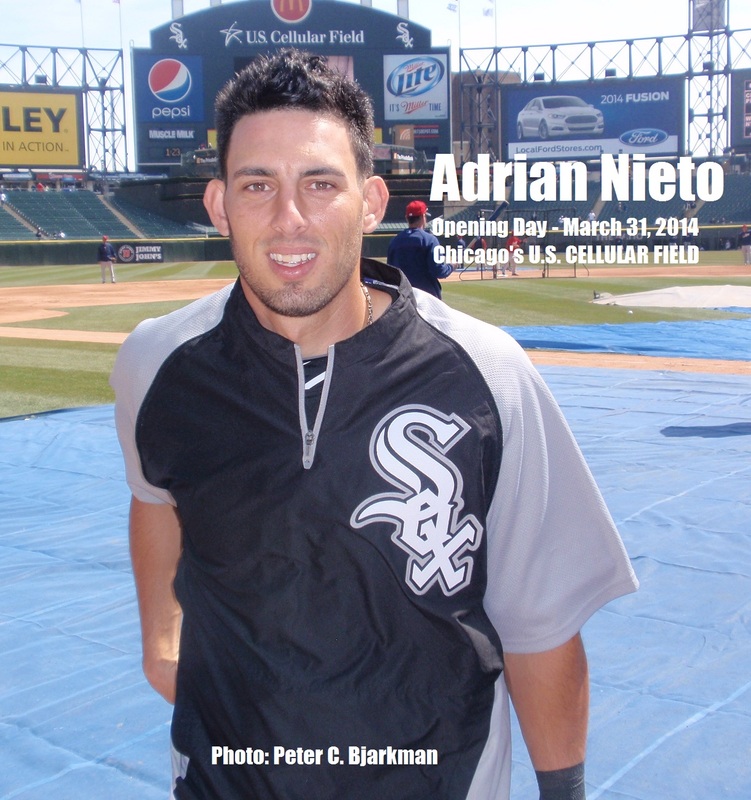 For the first time since 1969 an MLB Opening Day roster featured four Cubans, in this case Cuban League “defectors” Abreu, Ramirez and Dayan Viciedo, plus Havana-born and Hialeah-raised reserve catcher Adrian Nieto (who left the island with his parents when a mere four years old). The last big league club to claim four Cubans on Opening Day was the Cleveland Indians who debuted at Tiger Stadium in Detroit (April 8, 1969) with Luis Tiant on the mound, José Azcue behind the plate, and Zoilo Versalles and José Cardenal in the infield. This afternoon only two of the four Chisox imports saw game-time action, but Nieto now stands poised to become Cuban big leaguer number 180 in the coming days while Viciedo still figures strong in this year’s Chicago outfield plans. To make the day complete there was also a final piece of history unfolded that also involved the growing Cuban big-league connection. When the day’s hitting star Alejandro De Aza wrapped out a second homer in the sixth off Nolasco he became the first White Sox player in more than a half-century to homer twice in an Opening Day game staged on home turf. The last to turn the trick had been the original “Cuban Comet” Orestes “Minnie” Miñoso, who struck two long balls against Kansas City hurlers at Comiskey Park on April 19, 1960 (in an era featuring much later dates for season’s openers). The first Miñoso blow came off Johnny Kucks in the fourth and the second – a walk-off ninth-inning game-winner – was struck against Athletics journeyman closer John Tsitouris. While Dominican-born De Aza’s two historic long balls stole the headlines from Abreu and Ramirez, they nonetheless also provided a fitting final touch for an American League debut game richly packed with Cuban baseball storylines. The near-tragic and perhaps near-career-ending accident suffered last week in Arizona by Aroldis Chapman has renewed debate over the apparent dangers to defenseless pitchers from fastballs lined back through the center of the diamond. A 99 mph-plus spring training “heater” last Wednesday night was “missiled” back at Chapman off the bat of Kansas City catcher Salvador Perez, striking the vulnerable hurler in the left eye and leaving him writhing on the ground in severe pain, bleeding from the damaged socket, and suffering from a mild concussion. 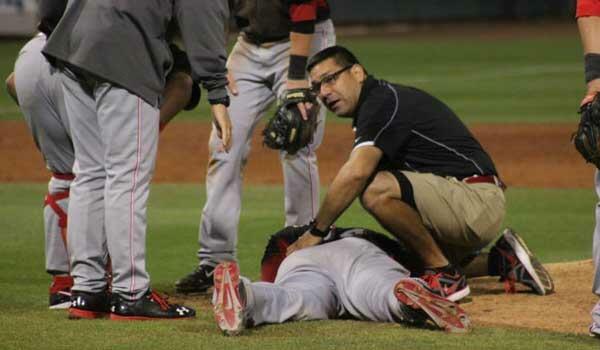 The Cuban fast-baller was carried from the field on a stretcher, the game was immediately cancelled, and grave concern suddenly flooded the Cincinnati clubhouse regarding Chapman’s condition, his status for the upcoming season, and possibly even the clouded prospects for his once-promising baseball future. Fortunately the incident culminated in as happy an ending as might have been possible. After undergoing emergence surgery to repair broken bones in both his eye socket and his nose, Chapman was able to visit teammates in the Cincinnati camp only three days later, and although he will miss the opening of the 2014 season, it is now expected that he will resume workouts in about six weeks and might even be back on a big league mound by June. What might have been big league baseball’s first on-field-injury-related death in nearly a century (the last was Ray Chapman, ironically, back in 1920, after being struck by a fatal pitch from Carl Mays) turned out to be only another stern warning about the inherent dangers surrounding one of America’s most favored national sports. The Chapman incident unleashed a flood of renewed cries for revamping the game’s rules and altering its equipment in order to protect defenseless pitchers against liners off the high tech bats of today’s souped-up muscular batters swinging at highly charged rabbit-ball-era missiles. It is an old problem in search of a long-sought but likely elusive quick fix. Perhaps the silliest and most misguided proposal came in a high-profile front page USA Today story penned by veteran scribe Bob Nightengale. Nightengale seemed bent of casting blame for the Chapman incident on MLB club owners who are reportedly now dragging their feet concerning a recently approved plan to provide American and National League pitchers with plastic-lined protective helmets (http://www.usatoday.com/story/sports/mlb/2014/03/20/mlb-pitcher-protective-caps-aroldis-chapman-alex-cobb/6672541/). This proposal for pitchers wearing extra head gear in truth remains one of baseball’s supreme modern-era red herrings. 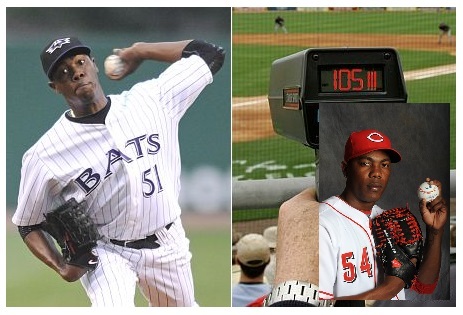 Anyone who thinks such gear might have somehow saved Chapman or any other hurler from injury probably also believes that 12-story-high, ear-splitting Diamond Vision scoreboards actually enhance a fan’s experience in the modern day major league theme-park stadium. It simply ain’t so. I am reminded at this point of an incident I witnessed at a spring training game in Sarasota’s Ed Smith Stadium two decades back. As their latest piece of fan-entertainment product-promotion the Chicago White Sox (then still residents of Sarasota) had cooked up a pre-game gambit with the local Hooters Restaurant chain that involved three randomly chosen fans stationed in right field about 100 feet from a batting-practice pitching machine tilted upward to launch lazy fly balls. Each contestant represented a section of the grandstand and the hapless novice who caught all three flies aimed in his/her direction would earn free Hooters chicken wings for his designated grandstand group. What will they think of next? The very first looping fly struck a clumsy untrained outfielder squarely on the bridge of the nose, knocking him bloodied to the turf. “Well,” we laughed from our third base box seats, “that was likely the shortest-lived promotion in ball park history!” But believe it or not the same promotion was again staged the next afternoon and this time the contestants were donning batting helmets, which of course offered absolutely no projection as they reeled under the flies, heads tilted back and batting helmets either useless or already tumbling off their heads. What these guys and gals obviously needed for protection (since they quite obviously didn’t know how to manipulate their fielder’s mitts) was a catcher’s mask not a batting helmet. The same is true for pitchers facing oncoming line drives – almost every pitcher ever struck (and there have been quite a few cases now – takes a blow to the legs, arm, hips, or (in the worst case) either the face or the side of the head below the cap line. Pitchers are almost never struck by line drives on the top or on the back of the head. For even minimal protection Chapman required a catcher’s mask or perhaps a hockey goalie’s head gear and face-covering, not a cap with a minimal protective lining. There may of course be a solution to this problem (one fit to solve some associated problems as well) but it is a solution that no one wants to hear. Owners don’t want to hear it because it might shave a few pennies off the bottom line profit margin. And off course MLB and its owners are mainly in the business of squeezing every possible dollar out of what were once fans but are now consumers; MLB and its owners have long since turned their backs on any efforts to actually improve the sport either aesthetically or technically. And fans don’t want to hear about it either because baseball fans are by nature arch “traditionalists” – thus any monkeying with our national pastime’s quaint nineteenth-century foundations is seen as absolutely heresy. Excuse the brief editorial sidebar here, but I have often marveled at how old time baseball fans have so easily adjusted to and even welcomed player specialization (i.e. starters who hurl only six innings and closers who never work more than a single frame), plastic grass, night games, shortened fences, and umpire-aiding televised instant replay – and yet these same fans still rail at the idea of a designated hitter. In truth of course modern-era stadiums and night play have far more radically altered the original game than the fact that pitchers don’t any longer bat in the American League or in any international leagues or tournaments. We seem to have here a classic case of the missing the forest while sighting of the trees. The near-universal resistance to updating a modern-era television-based sport – one often still stuck with its outworn nineteenth century traditions – comes into focus every time I tell my MLB friends about what they are now missing with the tie-breaker extra-inning rule originally introduced in 2008 for IBAF international tournaments (starting with the Beijing Olympics) and now employed for regular-season games within the Cuban League. This is the phenomenon known in Cuba as “The Schiller Rule” (after Harvey Schiller, the IBAF president at the time it was introduced) which shortens extra-inning games by starting each overtime frame with a pair of runners automatically placed on first and second base and the manager choosing where he wants to begin in his batting order. As a curmudgeonly traditionalist I originally thought I would hate such an innovation. Mention it to a big league fan and you might as well suggest robots or cameras replacing home plate umpires for calling ball and strikes, or free substitution of players as in other sports, which would ramp up managerial strategy, or – GOD FORBID! – admitting women umpires (which the Cuban League already has). Yet after watching it in action for several years I have now deemed that the innovative Schiller Rule format only adds to late-game excitement; it has produced some of the most thrilling games I have ever witnessed. And it is perfect for the Majors, where baseball is now essentially produced for television and not for the ballpark fan, and where television requires tightly-controlled broadcast schedules. Enough talk perhaps about tradition breaking innovation. But that is precisely what is needed (not helmet liners) to protect pitchers properly in modern-day baseball. It has increasingly been recognized that today’s supersized and super-athletic NBA players have already rendered archaic the arenas in which they play. Basketball in the future will simply either have to expand court size and rim height in order to remain the game it once was – or else perhaps alter its appearance as a three-on-three game of the type popular on the nation’s playgrounds. Precisely the same size restrictions now afflict the game of big league baseball. My Modest Proposal (with a tip of the old ball cap to Jonathan Swift) to protect pitchers and reclaim the game we once knew is an altogether simple and yet also altogether heretical one. Move the pitcher’s mound 75 feet away from home plate. At the same time extend the diamond to feature 100-foot-long base paths. And normalize outfield fences to a new more realistic dimension of 500 feet to the foul poles and 650 feet to dead center field. Now we would have a baseball diamond designed to accommodate today’s bigger, faster, more athletic and harder swinging and throwing ballplayers. And while we are at it, why not reintroduce a much heavier and “deader” baseball like the one used in the pre-1920 era, and also eliminate light whip-like bats. Let’s get back to a plethora of 1-0 final scores. “Oh No!” the owners cry. This would cost way too much money (and also diminish gate take by keeping away ticket buying fans raised on Home Run Derby ballgames). But let’s remember here that MLB is one of the nation’s most thriving corporations with an annual cash flow that tops the gross national product of many of the world’s other industrialized nations. And MLB ballplayers are among the best compensated entertainers on the planet. Isn’t some belt tightening by all but a small sacrifice to improve the quality of the sport? And was baseball ever meant to be merely a batting practice demonstration? 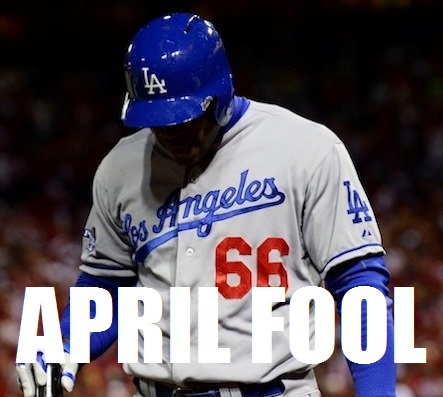 And “Oh No!” cries the SABR-metrics buff. How can we preserve historically level playing fields for record keeping and record comparison if we monkey with the game’s dimensions? And I retaliate here that such record comparisons are already a mere myth and a fantasy. How can one talk of record comparisons with today’s hyper-sized athletes compared to those of yore, or with the changes in bats and balls and gloves that have transpired over the decades, or with a sport that didn’t include Blacks or Latinos before the mid-point of the past century. The era of Babe Ruth and the era of Barry Bonds are incapable of reasonable comparison, no matter what we might now do to ballpark dimensions. Okay, perhaps the expansion of the size of the field is indeed too radical. Perhaps we indeed want a game where the main entertainment for most fans as a string of endless home run derby highlights on nightly ESPN; perhaps we need to be entertained by pitchers who throw more than 100 mph and with hitters weighting 170 pounds yet regularly lofting fly balls over 450 feet into the upper grandstands. Good enough. But it is the same issue faced today by the nation’s even more popular sport of NFL football. If what fans truly want is bone crushing hits and non-stop violence then the price will always be devastating injury and crippled athletes. Correspondingly, if we want the baseball field to look the same as it has always looked and yet if we also demand 100 mph flamethrowers like Aroldis Chapman and muscle bound-bashers like Barry Bonds and Mark McGwire, then we must live with the possibility of occasional injury and often shortened careers. Get over it – it is an inherently dangerous sport. We simply cannot have it both ways. It was a most unlikely debut staged in a most unlikely venue, but with his brief appearance in the ninth inning of Saturday night’s big league season opener between the Los Angeles Dodgers and Arizona D-Backs, former Las Tunas shortstop Alex Guerrero entered the record books as the 178th Cuban native to appear in a major league uniform. The odd debut carried rather exotic overtones since the former Cuban Leaguer became only the second among his countrymen to first taste big league action during a game staged away from North American spoil – this time on the Sidney (Australia) Cricket Grounds recently revamped to host an historic two-game set that introduced big league baseball to fans in the Land Down Under. Yoenis Céspedes also enjoy his own big league debut two seasons back (March 28, 2012) on far-distant Asian soil during a similar “traveling” MLB season opener staged between the Oakland A’s and Seattle Mariners at Japan’s Tokyo Dome. Céspedes doubled and stuck out twice during his own history-making lid-lifter as Cuban big league number 170. Guerrero’s own maiden appearance in a Dodger uniform was a rather unorthodox one for a second and more prominent reason since the Cuban managed to achieve “immortality” as an official big leaguer in a game where he never actually entered the field of play, while at the same time earning big league distinction by appearing in an official box score. Having lost the tight battle for a starting second base slot to highly touted prospects Dee Gordon and Justin Turner (opening night starter at the position), Guerrero nonetheless was at least temporarily included in the club’s season-opening roster for the extended Australian road trip. He was called off the bench in the visitor’s ninth frame as an “announced” pinch hitter for LA reliever Brian Wilson, but when Arizona manager Kirk Gibson replaced lefty Oliver Perez with right-hander J.J. Putz, Guerrero was immediately recalled from the on-deck circle and replaced by lefty-swinging Mike Baxter, who promptly flied out to right field. Thus Guerrero’s current big league line shows one game appearance without any visits to the batter’s box, to the base paths, or to the defense infield alignment. Alex Guerrero might well be headed toward a brief minor league apprenticeship when the Dodgers return stateside for their native-soil opening series with the San Diego Padres a week from this coming Tuesday. 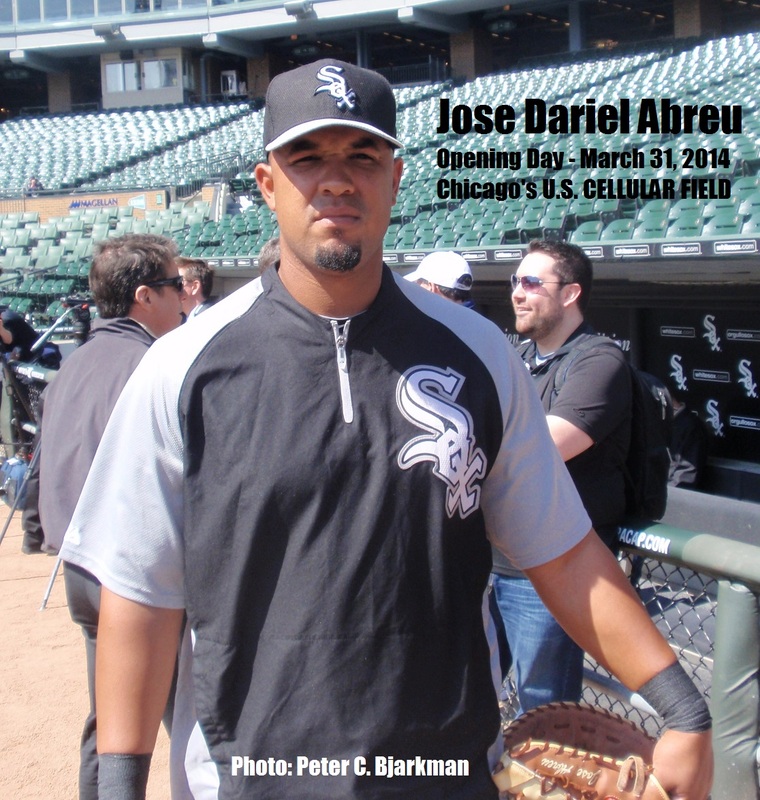 But it is almost certain that the Cuban roster of Major Leaguers will quickly expanding again in Chicago on March 31 with the much anticipated debut of slugger José Dariel Abreu, still currently penciled in as the White Sox opening day first baseman. A burgeoning list of recent high profile “defectors” in big league spring training camps suggests that this coming season might witness the biggest Cuban influx of recent decades. Five Cuban natives debuted on the Major League scene in 2010, three in 2011, and four in each of the past two campaigns. This year’s cropped of touted prospects recently inked to eye-popping contracts and thus likely near-future big leaguers is topped by right-hander Miguel Alfredo González (Phillies), flashy shortstop Erisbel Arruebarrena (Dodgers), infielder Aledmys Díaz (Cardinals) and hurler Dalier Hinojosa (Red Sox). Also in big league spring training camps this year and still nursing at least slim hopes of big league promotion are outfielder Jorge Soler (Cubs), southpaw hurler Noel Aruelles (Royals), outfielder Adonis García (Yankees), and outfielder Rubi Silva (Cubs). While the Cuban big league presence is likely to bloom extensively this summer, two recent headliners are now are least temporarily sidelined. It was announced early last week that multiple stress fractures in both legs will keep talented Detroit Tigers glove man José Iglesias out of action for the entire 2014 season. 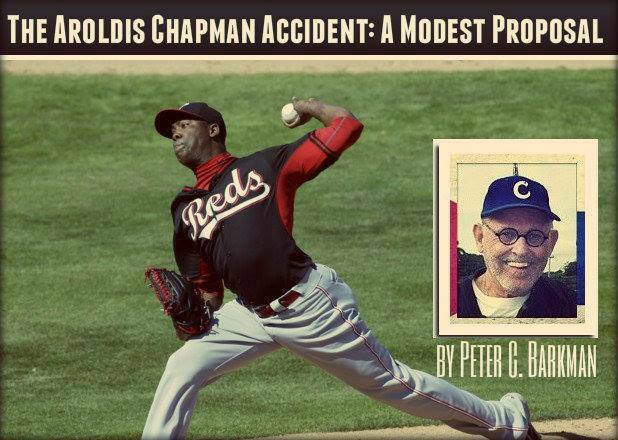 And a tragic accident Wednesday night in Surprise, Arizona, has now postponed 2014 action for Cincinnati flame-thrower Aroldis Chapman for at least several months. Stuck in the face by a line-drive off the bat of Kansas catcher Salvador Perez, Chapman received several facial fractures but fortunately escaped either life-threatening or career-ending injury. After successful surgery on Thursday which included insertion of a steel plate in the pitcher’s forehead, it was announced by the Reds that their ace closer might resume throwing from the mound in as little as six weeks but would not likely see season regularly action with the parent club until early or mid-June.